We all love having a clean home, but I’m sure you don’t love slaving away every day to keep it that way. 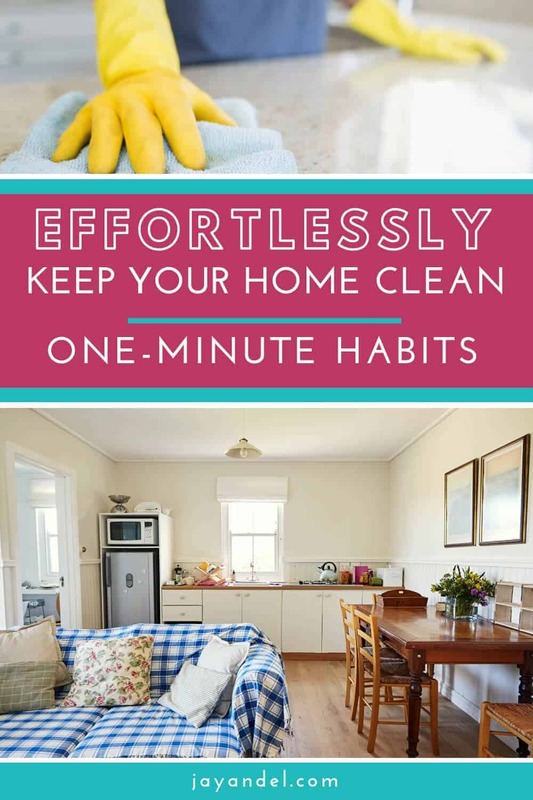 The easiest way to have a sparkling home is to get into the habit of handling a variety of small tasks throughout the day. 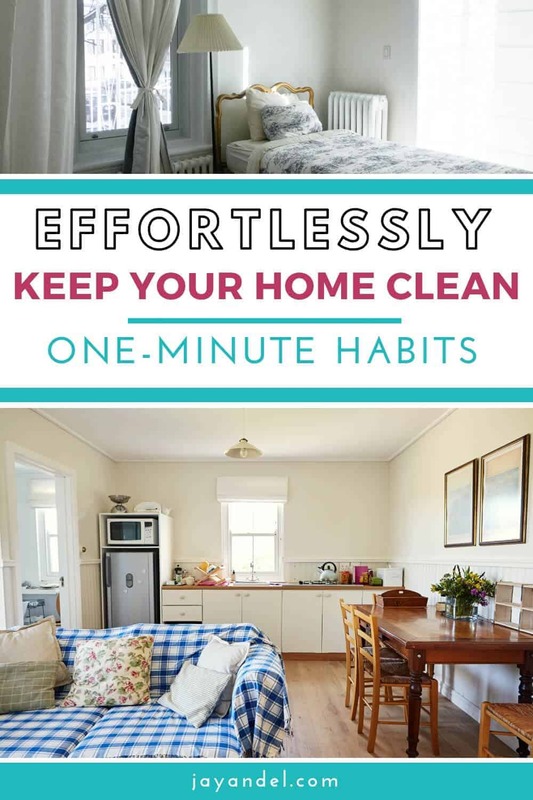 If you want your home to be clean all the time, take a minute to tackle these 10 small tasks each day. While making your bed only takes a minute, it has a huge impact on the room. When the blankets are smoothed and the pillows are fluffed on your bed, the entire room instantly looks cleaner and less cluttered. Hang a squeegee in your shower to keep the walls and door sparkling clean with less mildew and mold. Just take a minute to squeegee the shower when you’re finished to keep your shower cleaner longer. This simple task makes a huge impact on your home. Whenever you use a surface, wipe it clean when you’re finished. Start by wiping your bathroom counter after brushing your teeth. Wipe the kitchen counter after making coffee. Wipe the dining room table after breakfast, and so on. Keep your counters and desk clutter free by immediately organizing your mail when you bring it in. Make sure bills, letters, coupons, and magazines each have a designated space in your home to prevent them from quickly piling up. Load the dishwasher after each meal to avoid dishes piling up in your kitchen sink. Even if your home isn’t spotless, keeping clutter at bay can give the appearance of cleanliness. To keep your kitchen and bathrooms tidy, make sure the countertops of clear of clutter throughout the day. At the end of the day, empty your trash can and take the bag outside so you can start each morning with a clean trash bin. You’ll also avoid lingering smells of last night’s dinner hanging out in your home all day. Take one minute to scan each room of your house for clutter and put everything in its place before heading to bed. You’ll be happy to wake up to an organized house in the morning. End your day by emptying your kitchen sink. Either wash the dishes or start the dishwasher before heading to bed to ensure your kitchen sink starts clean each morning. Keep outside dirt and grime from coming into your home by making sure that everyone removes their shoes at the door. 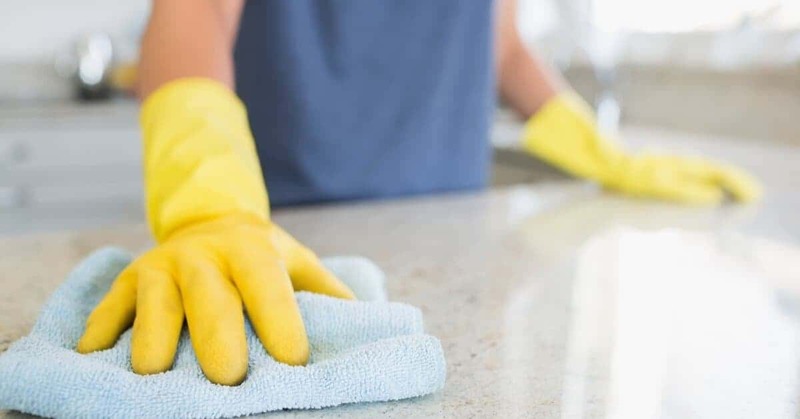 Not only will this simple habit keep your home more organized, but it will also ensure that outside germs and dirt never make it past your home’s threshold. I know that most of us would love to own a self-cleaning home, I know I would, but until the day that happens, we do have to manage it ourselves. I hate cleaning, and I’m being totally honest here, so I love anything I can do that makes it easier to cope with. 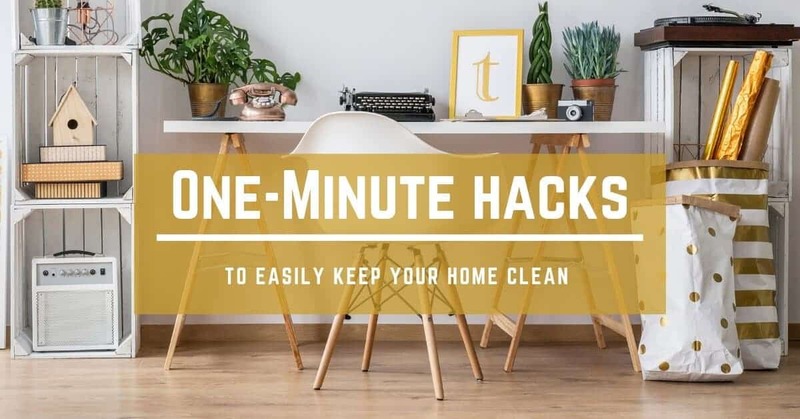 Keeping your home clean can be easier than you imagine when you incorporate these effortless 1-minute hacks into your life. I recently read a blog that claimed that your carpets can be 40,000 times dirtier than your toilet seat, on average (https://www.mschemdry.com/things-hiding-in-your-carpet/). This is the way to combat things like that, in my opinion. Tackle things here and there, thing-by-thing, on a day-to-day approach. That prevents buildup of bacteria, which prevents illness, etc. Thanks for the helpful guide and outlining these steps for us!! !